Okay I’ll admit it; I’m addicted to the NFL Combine. I always watch every year as much as possible, paying particularly close attention to the linemen and the QB’s. 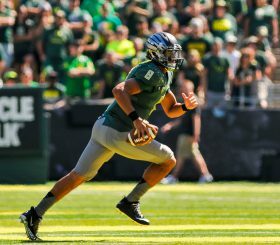 Once I picked my jaw up off the floor at the 300 lbs+ men running 5.0 second 40-yard dashes, I was ready to see our main Duck, Marcus Mariota. I didn’t really care about Mariota’s 40 time, that nonevent everyone is making a huge deal of; we already knew he was fast. No, the thing I wanted to see see was how he looked throwing at the combine, and boy did he not disappoint. Mariota looked very consistent at the combine. NFL Network’s Mike Mayock saw the same thing that I saw: superb footwork and form. 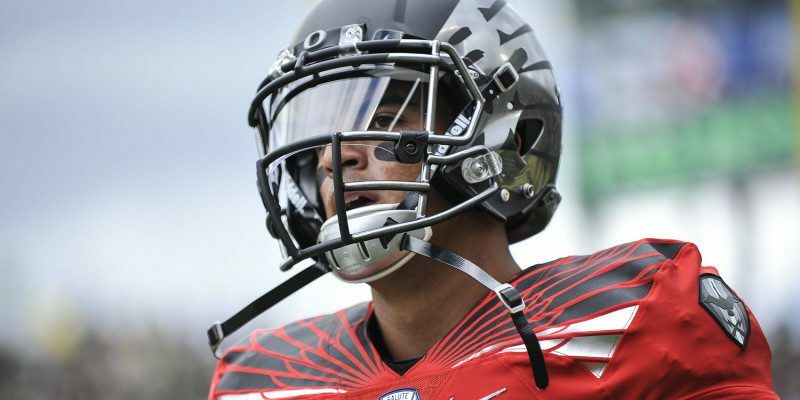 “What I liked about Mariota was just the footwork,” Mayock said. “You can see how athletic he is. He ran the 4.5. You can see that translate to his dropbacks, a sense of urgency with his feet…” And that is exactly what I saw from him; every dropback he had quick and consistent steps. More importantly he had consistent footwork, whether he was taking a 3-step drop or a 7-step drop, he was in control with every step. Mayock would go on to say “…he’ll be able to adapt to being able to get under center. It’s the pocket awareness part that you can’t tell out here. 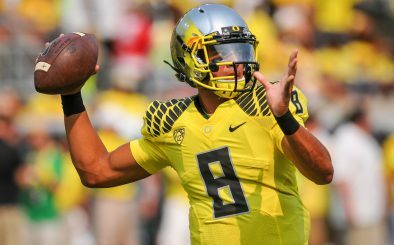 Physically, he’ll be able to do all the things they ask of him.” Mayock again is mirroring my thoughts since the problem with Mariota was never going to be anything physical or mechanical. If Mariota struggles at the next level, it won’t be the intricacies of the Center/QB exchange that stump him; it would be throwing from the pocket and adapting to an unfamiliar offense that could slow him down. We all know he can throw on the run. Mariotas biggest question remains can he throw from the pocket? This assessment by Mayock does highlight some of the problems with the NFL combine being seen as the end-all-be-all for player evaluation. Just because a guy looks great running and throwing against air in shorts and a tee shirt doesn’t mean much once he gets on the field. Nonetheless, Mariota has checked off another box in his pre-draft evaluation, and if nothing else, avoided a misstep at the combine. From here he has just his pro day left before the draft. If he impresses at his pro day too, then Marcus Mariota could very well be the number one overall pick.